Welcome to Simons first German lesson! “Halt!” means “Stop!”. Thanks for joining Simons first German lesson! The “header” of this article was taken from Starcraft 2. If you played the game, it’s most likely that you got a localization in your own language. Including voice and text but also the words you can see on the 3D models. Example time! Normally developers avoid stuff in game assets which has to be translated later. Text (e.g. Quest Text, Subtitles) can be in a database and handed over (e.g. Excel table) to a translator and imported later. Also voice samples can be outsourced very well. But localizing models/textures takes time from your inhouse artists (which most times are busy). 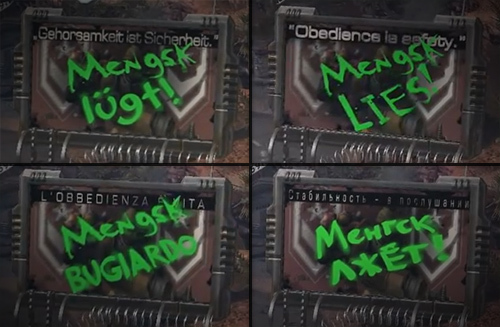 I was curious if they used some kind of painted font to avoid painting textures for every language. I checked the MPQ files and found e.g. 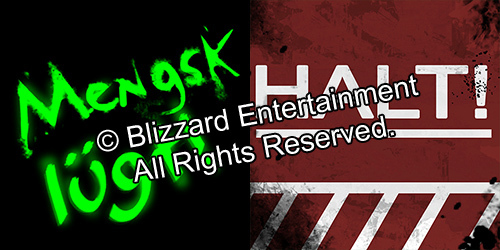 the Mengsk texture (512×512, Alpha, blended over the sign) and the Halt! texture (1024×1024, no Alpha) which is put to a metal sign without blending. I think it’s impressive how much effort Blizzard spends into the localization because most games only translate text & voice but let the ingame assets how they are (most times in English) or avoid putting any characters/words into models/textures. Simons second German lesson: “Ende” means “End”! Phil Gonzales was so nice to contribute another example for the great SC2-Localization. But even better: below his example picture are more interesting information about Blizzards Loca-workflow! 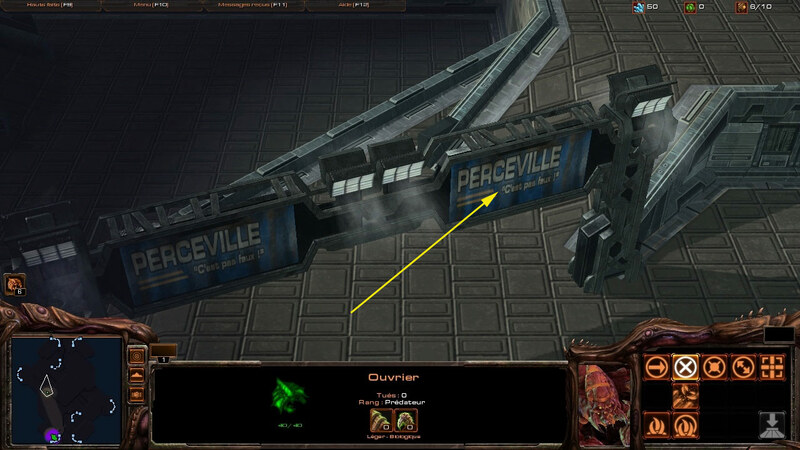 This entry was posted in Game Art Tricks and tagged Localization, Starcraft 2 on 24. April 2013 by Simon. It goes even further than that : not only do they localize, but they also “culture-localize”. Like they did in Warcraft 3 when you double-clicked on units, they would have some banter. They were diferent in french than in english : they adapted the phrases to more relatable french pop culture. Wow that’s really cool! I should check what it says here in Germany when I’ve some time. Good to see that they care about detail in every area of their games. Thanks a lot for your comment!